Blondie is an American rock band, founded by singer Deborah Harry and guitarist Chris Stein. The band was a pioneer in the early American New Wave and punk scenes of the mid-1970s. 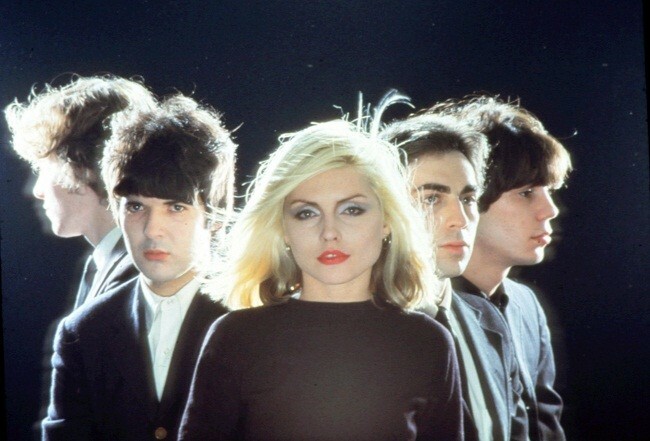 Their first two albums contained strong elements of these genres, and although successful in the United Kingdom and Australia, Blondie was regarded as an underground band in the United States until the release of Parallel Lines in 1978. Over the next three years, the band achieved several hit singles including "Call Me", "Atomic" and "Heart of Glass" and became noted for its eclectic mix of musical styles incorporating elements of disco, pop, rap, and reggae while retaining a basic style as a New Wave band. Blondie broke up after the release of their sixth studio album The Hunter in 1982. Deborah Harry continued to pursue a solo career with varied results after taking a few years off to care for partner Chris Stein.